Certainly the samples present in the track "Bounty Killer" are various, but one at least, i.e the bassline, comes from the mighty special debut lp by Bizarre Inc. "Technological"
What makes this record interesting is its progressive production style. 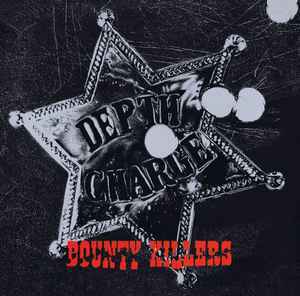 Bounty Killers sounds quite singular for 1989 and more like one of the forerunners of a downbeat/dub/trip hop/big beat style which blossomed only in the late nineties. Breakbeats had hardly ever sounded so slick and big before 1989, and I'm sure J. Saul Kane intended Bounty Killers to be a pure sonic trip. The bad thing about the record is that under the impression of the sounds, it was forgotten to include some interesting musical elements. The bassline seems to be the same as in Bizarre Inc's Technological, and I assume it's sampled from there; the same for Death Is Ma Name which is a remix very similar to Bounty Killers. The Bit In The Middle is not more than the sample from the beginning of the original mix, whereas the Measly 1000 Bucks Version at least comes up with a different, lower bassline. What I find particularly annoying is the "wrong" use (in all mixes!) of the vocal sample which was later used in Blue Room by The Orb: Whereas The Orb place the sample in a rhythmic context so that it absolutely fits the tune, Depth Charge just trigger it at the beginning of the bar which leaves it completely unconnected to the beat. A plus is that whereas the A-side was pressed on 45, the B-side was pressed on 33 but sounds almost as good and a bit more entertaining at 45 -8. Loved this track back in the late 80s, one of DC's best IMO. Most of the samples are from 'High Plains Drifter'.